Our Compost Accelerator, affectionately known as 'Compo Bugs' has been a gardener's favourite for years as a way of making up for the shortfalls of typical composting methods. 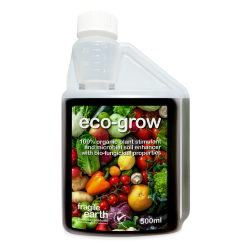 Added to compost it develops highly effective conditions that allow a rapid breakdown of materials including difficult to treat materials, it also promotes degradation in both aerobic and anaerobic conditions. 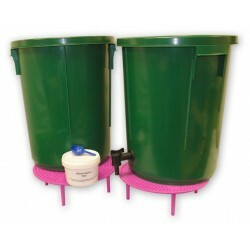 Compost Accelerator contains a staggering 5 BILLION Bacteria per gram. 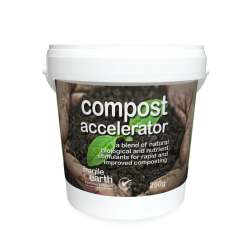 Compost Accelerator can also be used in kitchen and food waste digesters to breakdown waste before adding to the compost heap. 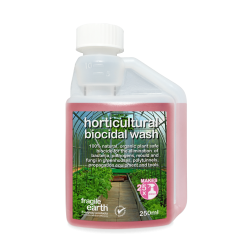 Lastly, we have a new product Biocidal Horticultural Wash a natural way to disinfect glass houses, cloches, cold frames, equipment, staging, tools and containers ensuring that each transition begins disease and germ-free.